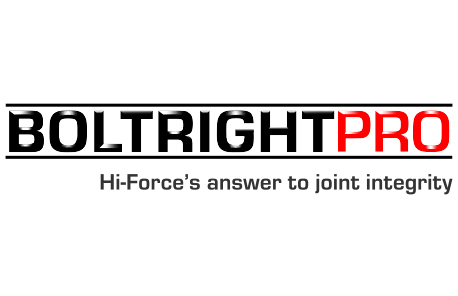 BOLTRIGHT PRO is an innovative, bolted joint integrity software programme, designed to assist engineers, with the provision of accurate bolt load calculations, based on key input data, related to each specific bolted joint. 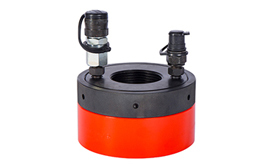 BOLTRIGHT PRO has been primarily designed for use in the Oil & Gas industry, where the safe movement of hydrocarbons in a leak free environment is absolutely critical, however it can also assist in many other industries, where bolted joints are present. 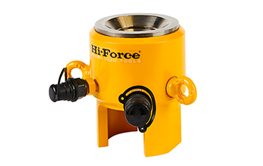 The user enters all available data about the joint including flange size, material and rating, gasket type, bolt size and material grade, lubricant type and operating temperature. BOLTRIGHT PRO will analyse this data and produce a comprehensive calculation, of the required tension to be applied to all of the flange joint bolts to achieve a leak free joint, first time every time! 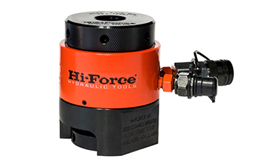 Additionally, BOLTRIGHT PRO will produce a clear and easy to follow bolt tightening procedure, which will include the correct tool selection, from within Hi-Force’s extensive range of bolting tools, along with the correct sequence of applying the loads, onto the respective flange joint bolts, including the applicable pump hydraulic pressure settings, for each stage of the bolt tightening process. The methodology of the BOLTRIGHT PRO software calculations is fully traceable to industry standards, ensuring that the latest best practice procedures are followed at all times. As part of the software joint integrity review process, BOLTRIGHT PRO will also display all of the relevant combined stresses within the joint, once the bolt tightening is completed. 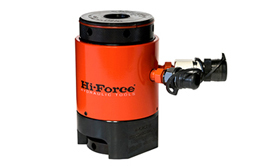 This includes not only bolt stress but also gasket and flange stress, to ensure all of the stresses within the joint are within acceptable levels. The flexibility of the BOLTRIGHT PRO software enables the user to change any of the input data in order that optimum integrity can be achieved within each and every joint. As an example a change of bolt and gasket material can and will affect the BOLTRIGHT PRO software calculations and bolt tightening procedures.